Skydive Ireland offers you the chance to experience the ultimate adventure of freefalling through the sky at 200 km/h from three different locations in Ireland. Choose either a solo skydive, tandem skydive or a skydive for charity.Description:Skydive Ireland operates from three different locations in Ireland: Galway Airport at Carnmore, Sligo Airport at Strandhill and Waterford Airport. On offer are solo skydives, tandem skydives and skydives for charity. The Solo Skydive is a one day course designed to teach you about the parachute equipment, how to perform a skydive and how to fly and control the parachute to a safe landing. The first skydive takes place from an exit altitude of 1020m. Repeat skydives allow you to progress to higher altitudes and longer freefall. 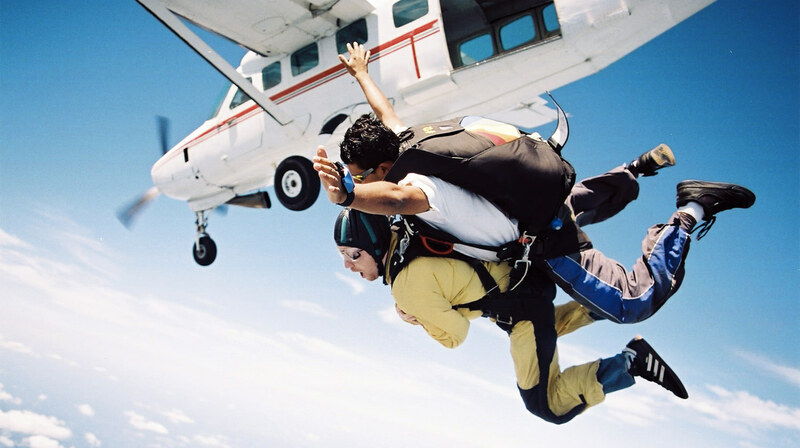 The Tandem Skydive is for people who would like to experience the feeling of skydiving as a once-off thrill. After 20 minutes of training you are attached securely to a very experienced instructor who takes care of all the technical aspects of the skydive. The exit altitude is 3050m and after a freefall of 35 seconds at 200 km/h, the parachute is deployed at 1500m. Or fundraise €500 and skydive for a charity of your choice. Also available is a skydiver license package which includes training and 25 solo skydives. Special offers are available for all options plus gift certificates. Paypal and all major credit cards accepted.